Happy Easter to you too! Love the card too. Found you from Monday Madness blog hop. I love this one! It is very cute with that bunny in the middle! 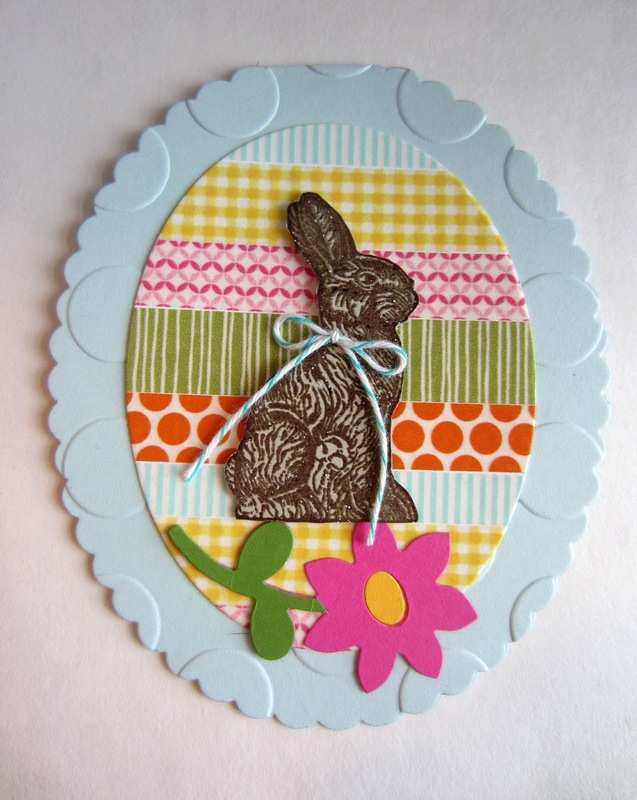 What a pretty Easter card you made! How cute and I love the detail on the bunny! Thanks for sharing your links at Celebrate Your Story link party and we hope you join us again. Hi Linda! Thank you for sharing this post with my NO RULES Weekend Blog Party! I have chosen it as one of my Monday Special Features! That bunny looks just like chocolate; what a fun idea for Easter! Thank you for sharing at the Celebrate Your Story Link Up Party. Very Cute!! I think it looks like a chocolate Bunny!! Thanks for sharing on My 2 favorite Things on Thursday - Link Party! Hope to see you again tomorrow!! Pinned! !